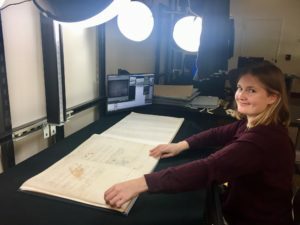 At the National Archives Innovation Hub, the project, titled “Seas of Knowledge: Digitization and Retrospective Analysis of the Historical Logbooks of the United States Navy,” is focusing on recovering historical data from the logbooks and muster rolls of U.S. naval vessels during the Civil War and Reconstruction era. Through a collaboration between the Joint Institute for the Study of the Atmosphere and Ocean (JISAO) at the University of Washington, NOAA’s Pacific Marine Environmental Laboratory, the National Archives and Records Administration (NARA), and the National Archives Foundation, an international team of scientists, archivists and historians are focused on the retrieval of weather, environmental observations and other historical information. The National Archives Foundation supports the education and outreach work of the National Archives to make federal records accessible to explore, discover and learn from. The conversion of these records from unique handwritten documents into a globally available, digital format is accomplished through a highly successful citizen initiative and with the assistance of student interns at the Hub. 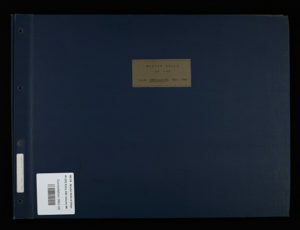 Currently the project is imaging 546 volumes of muster rolls from 764 ships during the years 1861 to 1879. 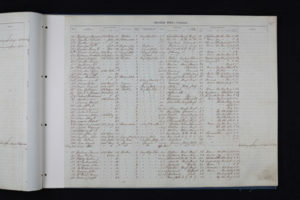 Muster roll data will provide unprecedented access to unique information about enlisted sailors during this pivotal time in American history, including their names, place of birth, age, physical description, as well as information on status such as desertion, discharge and contraband (escaped African American slaves that served in the Navy during and after the Civil War). The muster rolls and logbooks together represent the most detailed first-hand record of the navigable world, as it was seen while U.S. naval vessels pursued their varied missions throughout the nation’s history – for defense, diplomacy, science and exploration, among many others. This project is part of the Hidden Collections program of the Council on Library and Information Resources and supported by The Andrew W. Mellon Foundation. 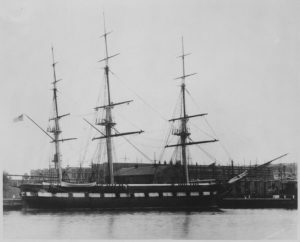 Muster Rolls of the USS Constellation, a sloop of war, and the last sail-only warship designed and built by the US Navy in 1854; it is currently docked in Baltimore. The Muster Rolls cover the period from 1862-1868.